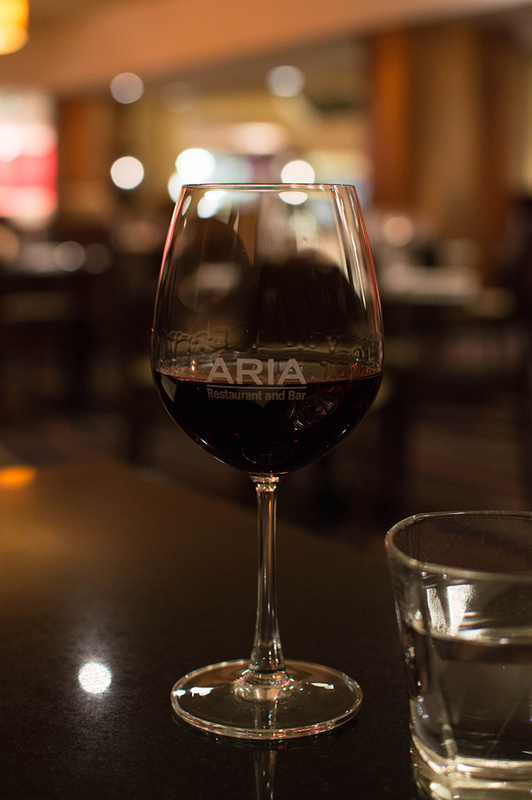 I was lucky enough to be invited to join Aria Restaurant in experiencing their culinary journey, featuring menus from their three award-winning chefs. Tonight, I got to try the menu curated by Vikas Khanna, the world-leading Indian chef and host of Masterchef India. Aria Restaurant is absolutely beautiful. 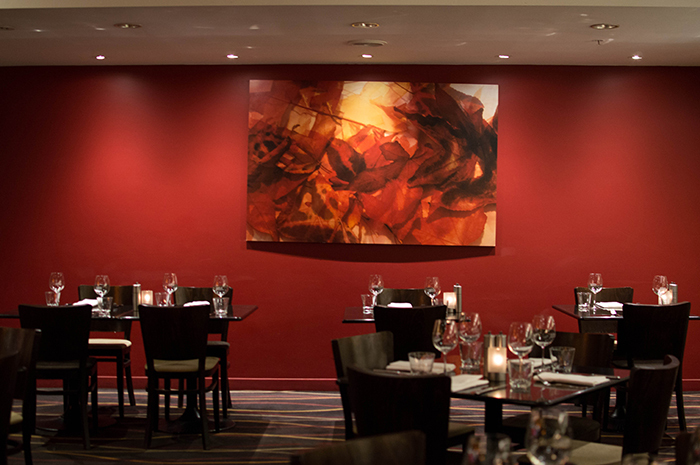 Though its location is slightly hidden within Crowne Plaza, once found, your tastebuds can expect a wonderful night ahead. I was allowed to bring a guest on this culinary experience, and we got to experience a three course meal with complimentary drinks. It was a perfect little date night. A glass of the Squealing Pig Pinot Noir. I'm not much of a wine drinker, so I asked the waitress for a recommendation. She paired my wine choice (Squealing Pig Sauvignon Blanc) with our first course Chicken Tikka Mirza Hasnu with endive and lemon puree. My wine came chilled, and I definitely got in to it! The appetiser was really good! The chicken was tender and fell apart in our mouths. Every aspect added flavour and texture to the dish. 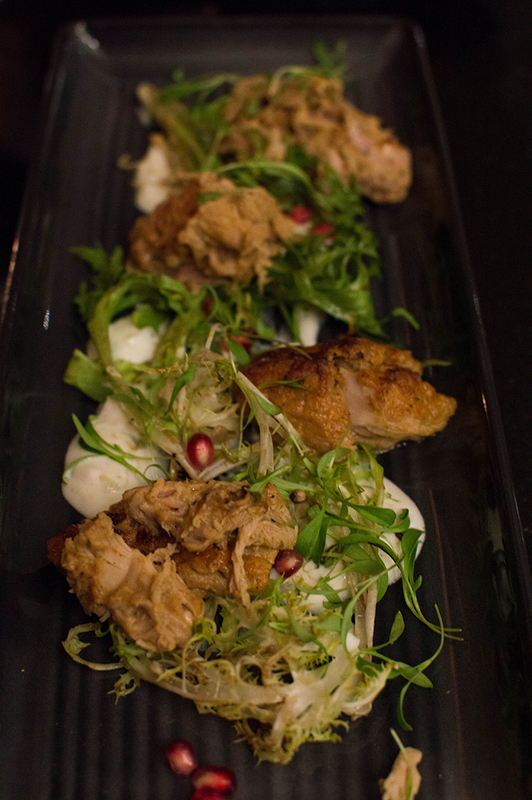 There were even pomegranate seeds which added a bit of sweetness to the saltiness and spice of the chicken. The only criticism we had was the chicken was too soft. It fell apart nicely, but the texture almost made it seem like it was tuna, instead of chicken. Overall, we thoroughly enjoyed the appetiser and it made a great start to our night. 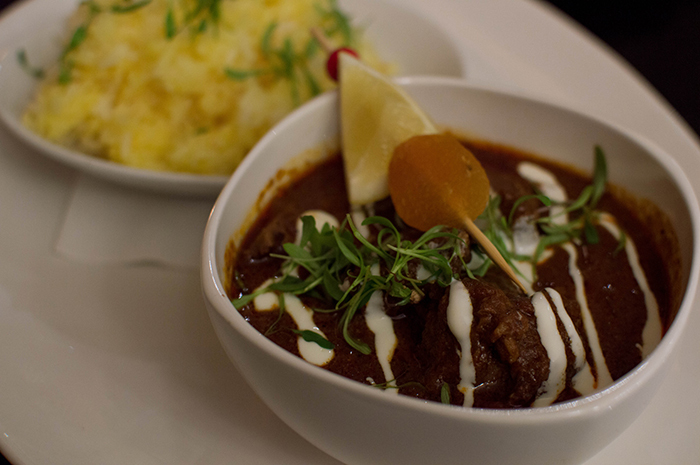 The main course was slow cooked lamb and apricot chutney. It was a delicious curry and that's coming from someone who isn't too fond of many Indian curries apart from the popular tikka masala and butter chicken. 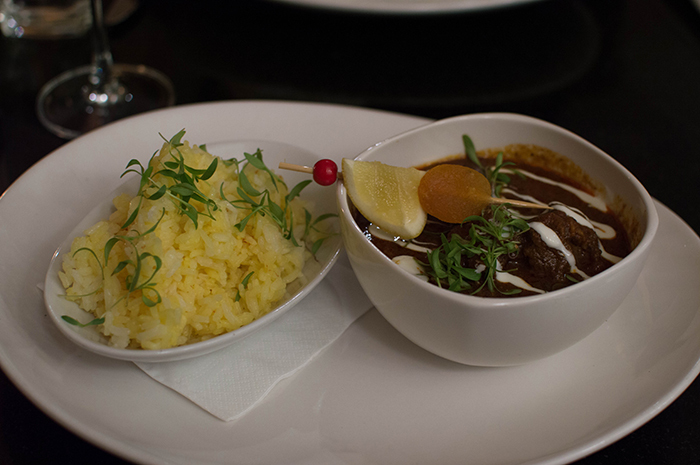 The lamb pieces were so tender and the rice broke up the flavours perfectly. 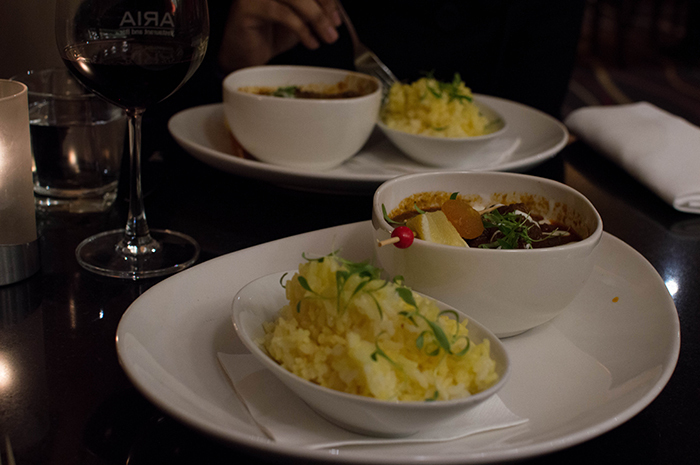 The actual flavour and spice of the curry was perfect! There was a hint of spice in each mouthful which I absolutely loved. At this point, it was safe to say that we were nearing our limits. After two wonderful courses, we were looking forward to what dessert tasted like. Dessert? Yes, I am definitely a dessert person. Even though I may be stuffed to the brim, I will still have space in my belly for dessert. 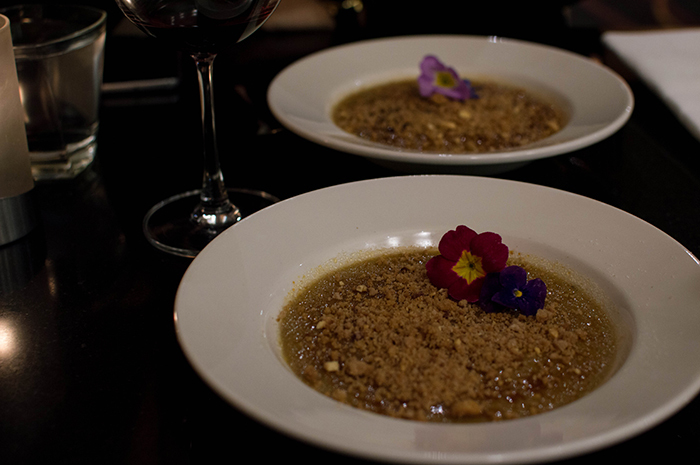 Our dessert tonight was a Masala Chai Brulee. The portion size was huge! We would've easily been content with one dessert to share, as we both got through half of our desserts, and couldn't eat any more. The dessert was perfect. 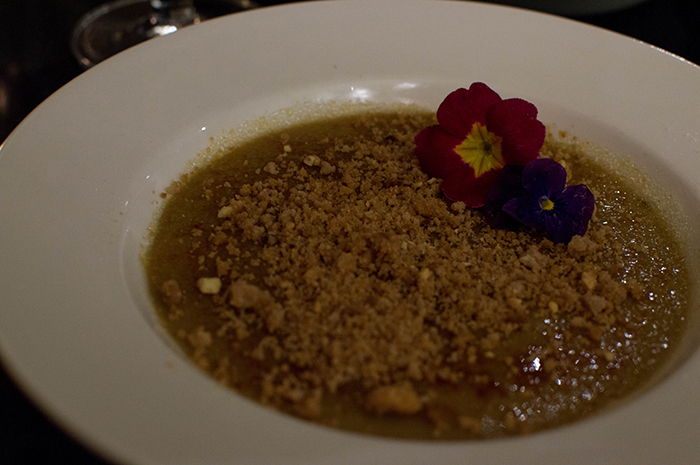 It was basically a creme brulee, with a hint of masala spice and biscuit crumbs garnished on top. I couldn't ask for more. 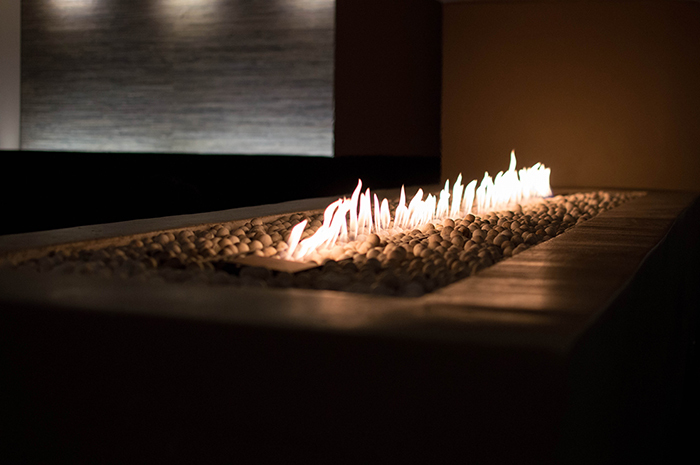 The atmosphere is perfect for a date night. 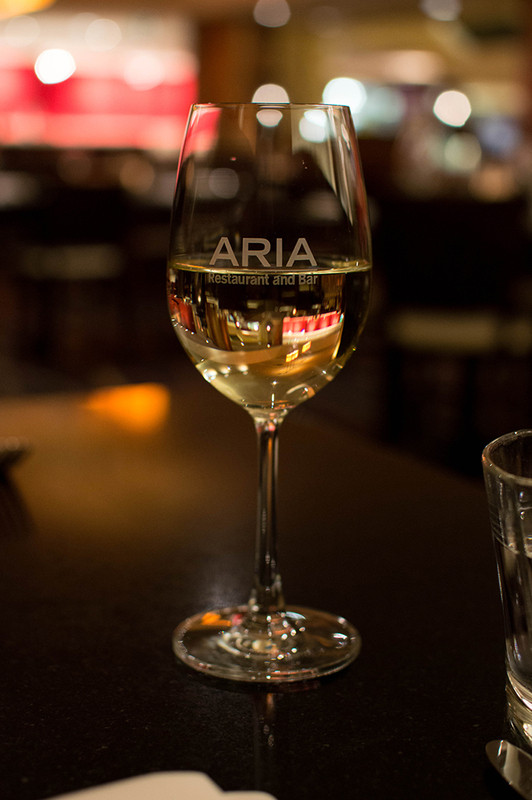 One word would sum up Aria Restaurant perfectly: classy. I wouldn't dine here with a huge group of people, but it is definitely on my list when I'm after an intimate gathering with a few close friends or a second date! From start to finish, the service was faultless. The staff were friendly and attentive, but not to the point of being annoying. They were so professional as well! I had an amazing experience dining here and I only wish that I had found out about Aria sooner. This was the first menu of Aria's culinary journey and I can't wait until the next two. You can find out more about the culinary journey here. 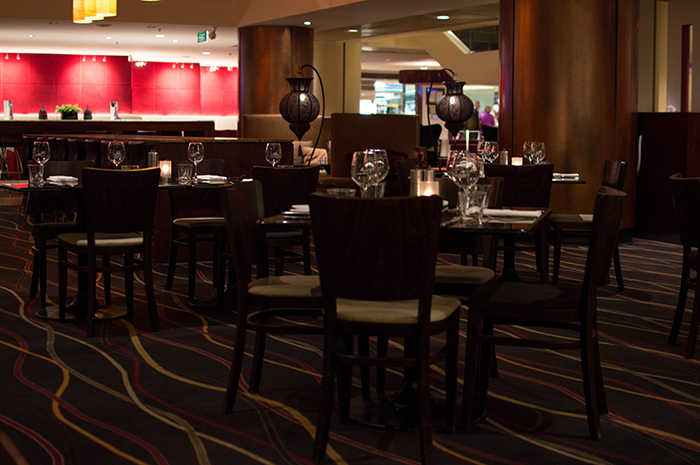 A big thank you to the team at Crowne Plaza for the meal and experience! Has anyone else been to Aria before? I would love to hear about your experiences!